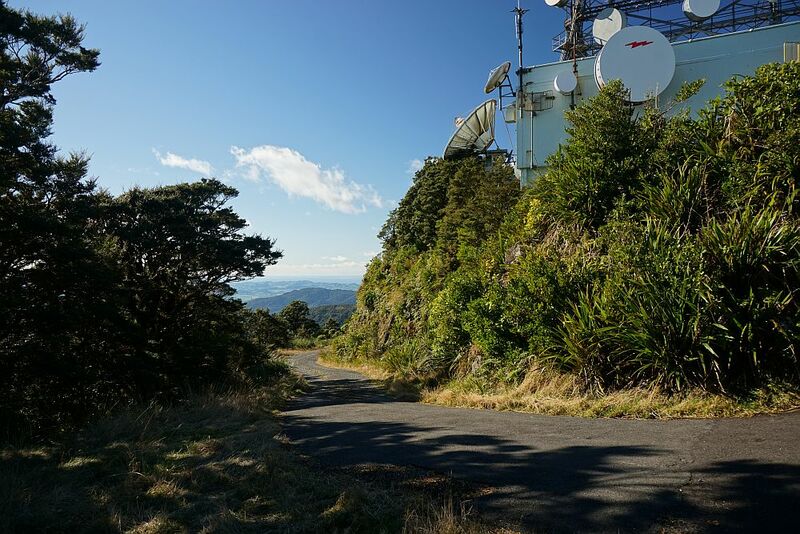 There is a road leading from Tui Rd to the summit, but this is not open to the public. 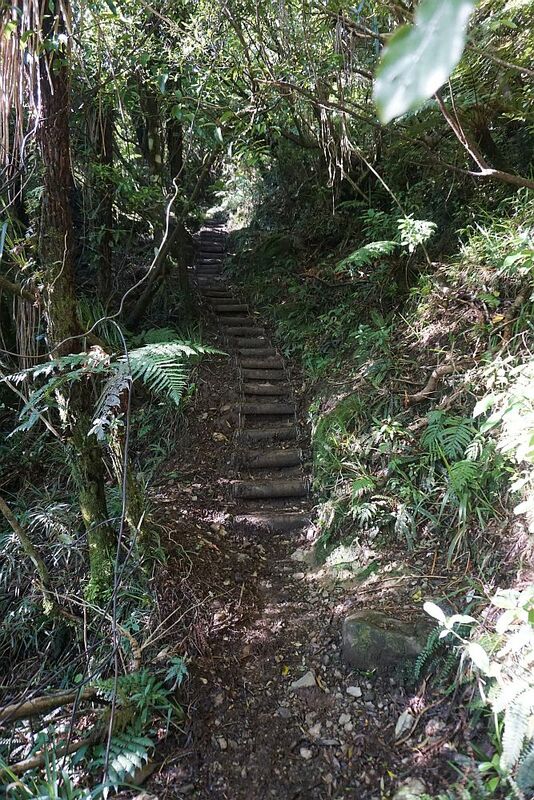 Several walking and tramping tracks also lead to the summit, with the shortest and most direct being the track from the Te Aroha Domain. This is the most frequently used track. 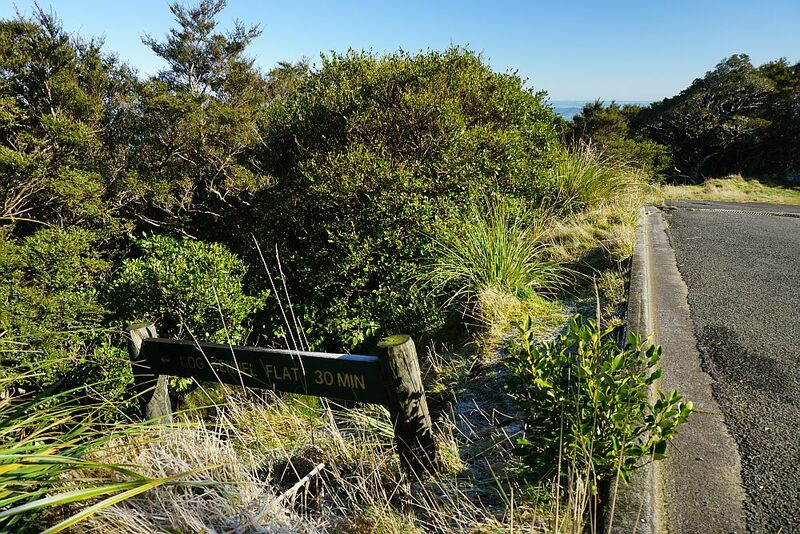 With the Domain only being about 35 metres above sea level, there is a more or less direct climb of about 920 metres to reach the summit.The first part of the track, to the Whakapipi lookout at about 310 m asl, is mostly a well-formed track with an easy gradient. From shortly above the lookout to the summit the track changes character several times, with some very steep and rough sections among the easier parts. 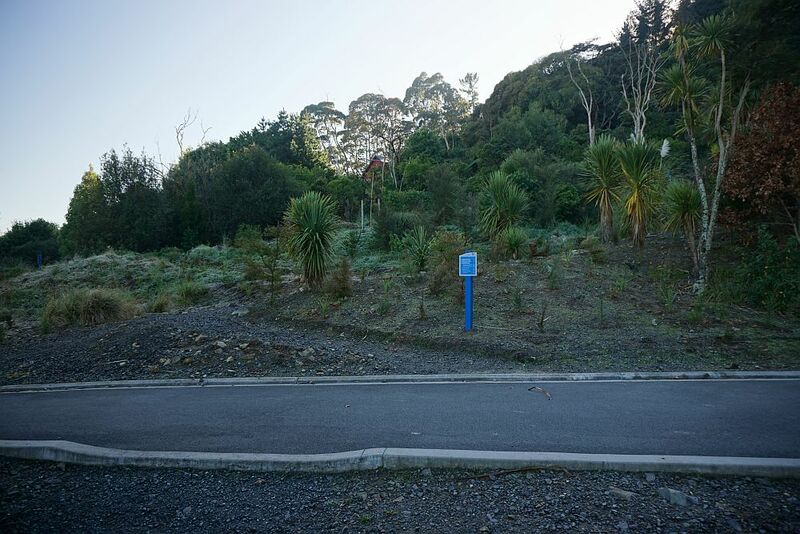 There is usually parking available on Whittaker St by the information centre and the entrance to the Domain. The information centre also has toilet facilities. 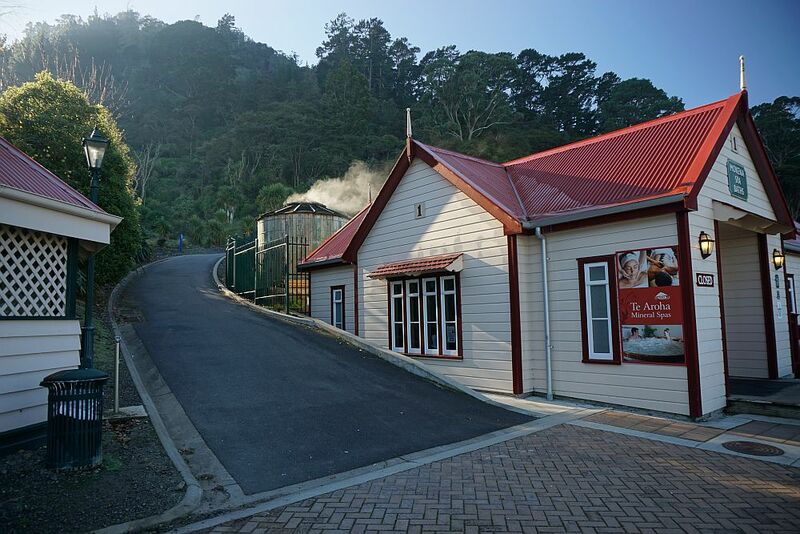 A short walk through the Domain passes the spa building, behind which the direct track to the summit starts. Total distance from the Domain to the summit and back is just over 9km, and the walk took 4 hours 30 minutes, including time for breaks on the way and lunch at the summit. 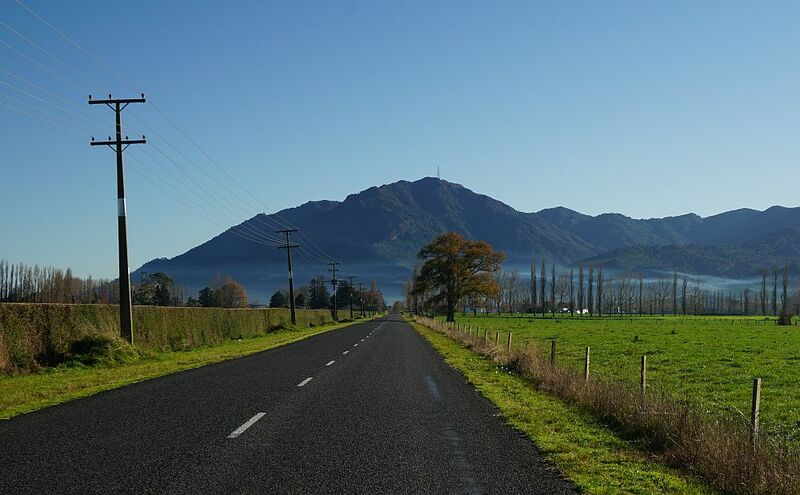 Mt Te Aroha seen from the Te Aroha Gordon Rd. The tower at the summit can be seen to the right of centre. The sun was just rising above the mountain before the walk started. Seen from the Te Aroha Gordon Rd. 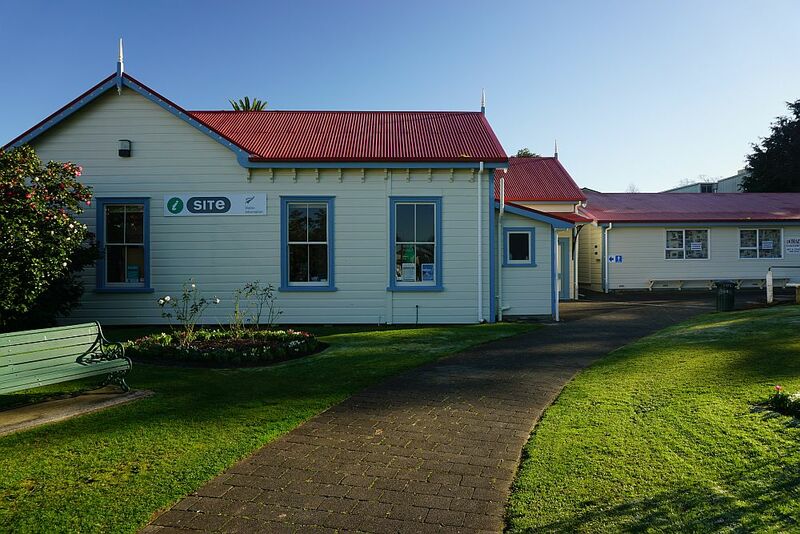 The information centre at the Domain in Te Aroha. The spa building, with geothermal water used for the spa baths. Very popular especially during the winter months. The paved road leads to the start of the summit track, and other walking tracks. The start of the summit track, and the sign indicating the available tracks. The summit track branches off to the right. 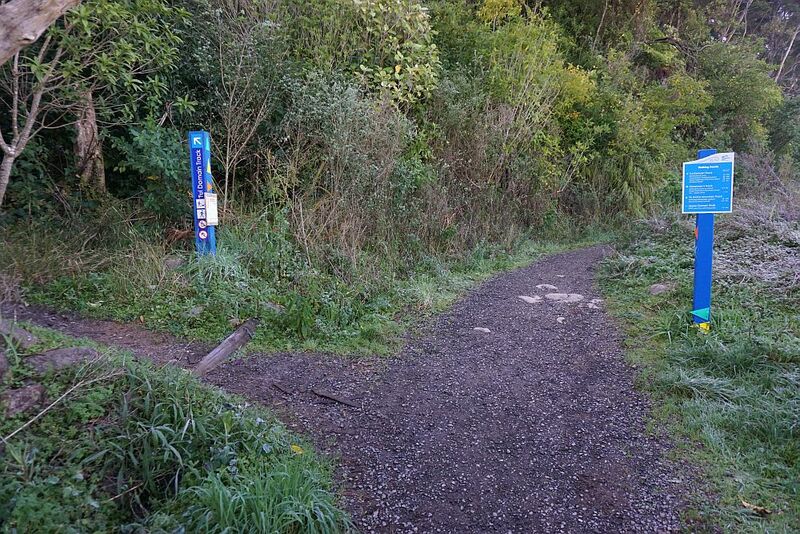 The Tui Domain Track to the left. 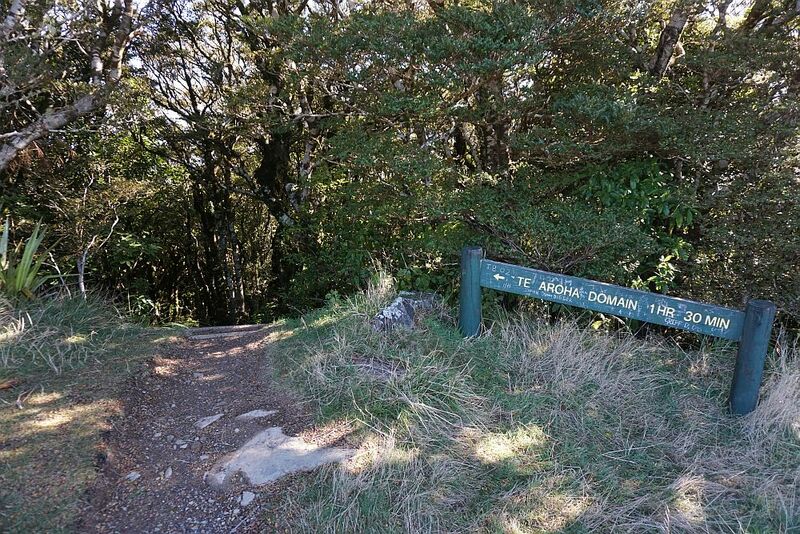 From the Tui Domain Track there is an alternative track joining up with the summit track above the lookout, the Horseman’s Track. 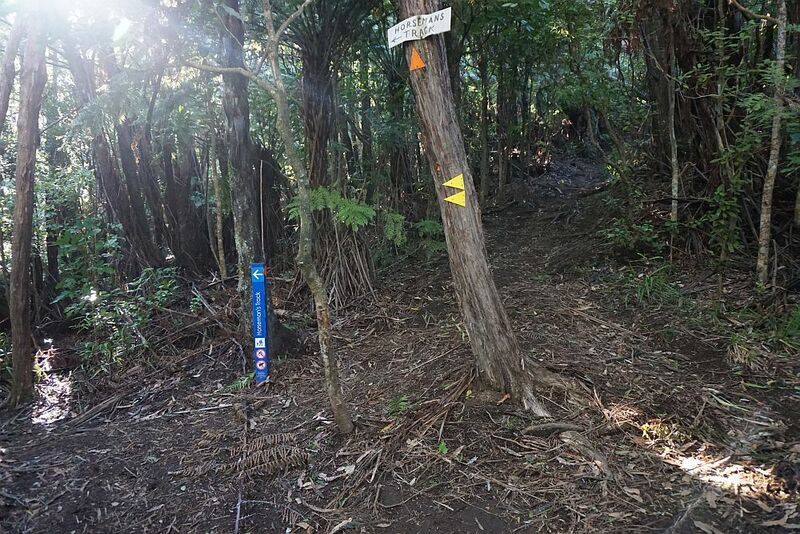 One of the largest Kauri trees on the mountain is near the start of the track. 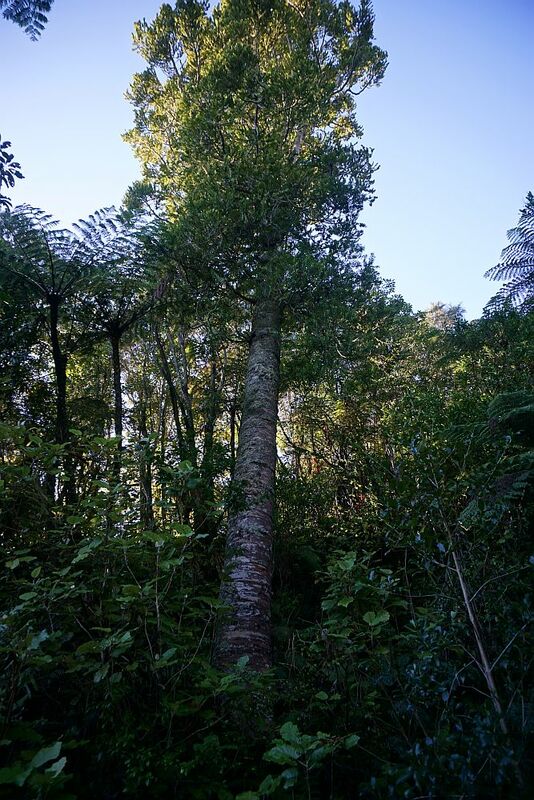 It’s only a small tree compared to some of the others in the Kaimai Mamaku Forest Park. 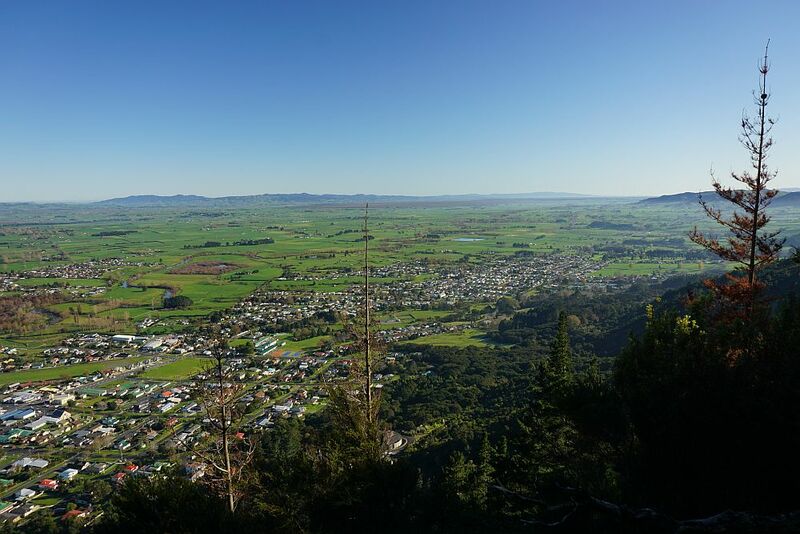 View from the Whakapipi lookout on Bald Spur across the northern part of Te Aroha to the Hauraki Plains. 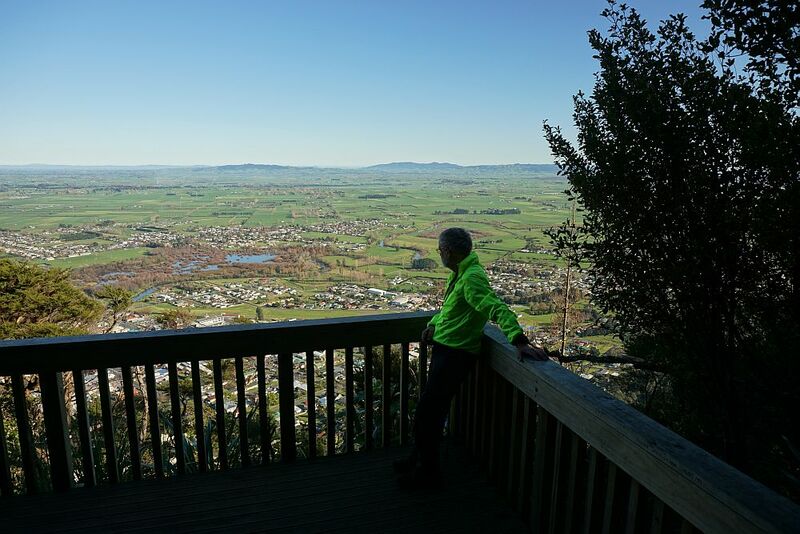 Admiring the view across the southern part of Te Aroha, looking towards Matamata. 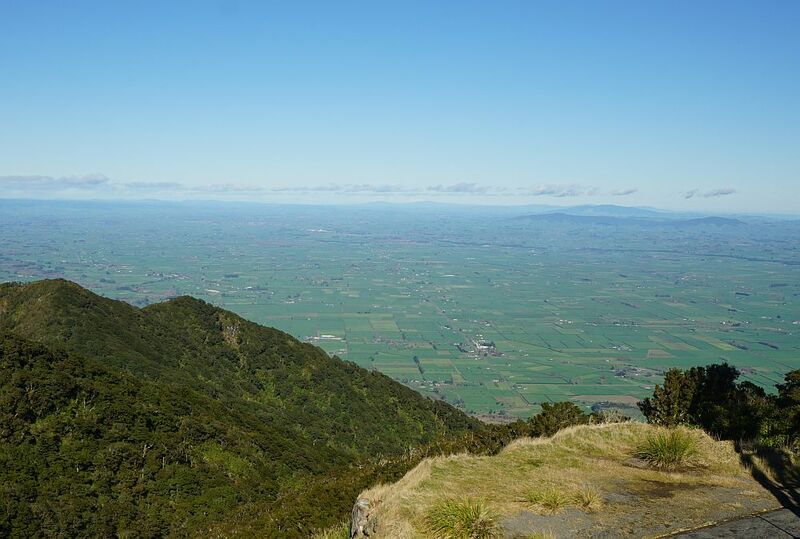 Horseman’s Track joins up with the summit track a short distance from the Whakapipi lookout. Some of the steeper parts of the track have steps, but most of the rougher and steeper parts do not. 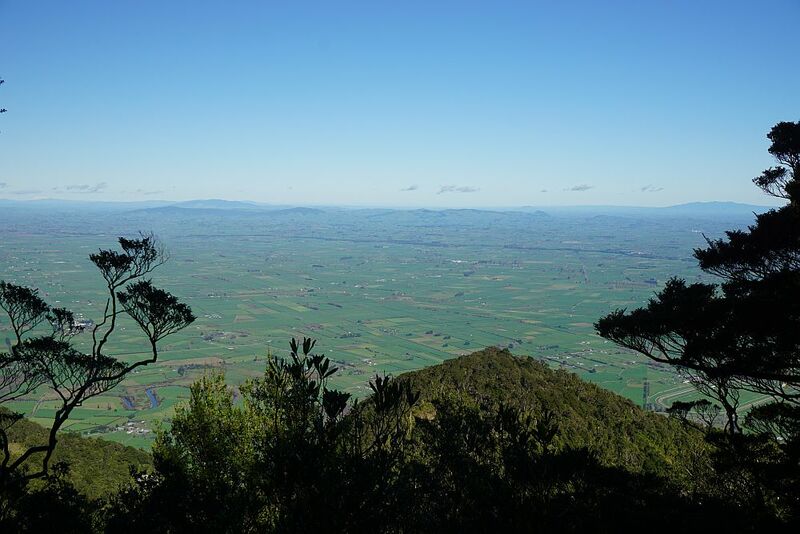 There are no views of the surrounding countryside from the track until almost at the summit. Here looking to the south-west. 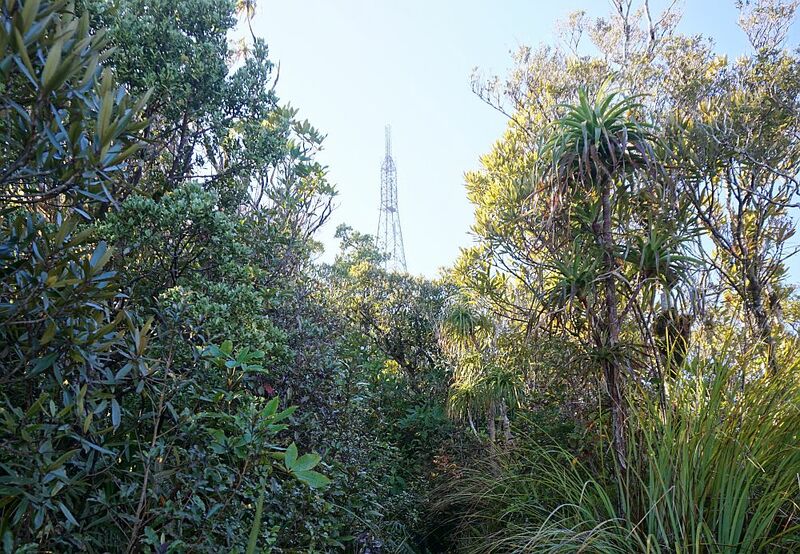 The first view of the summit tower from the track. 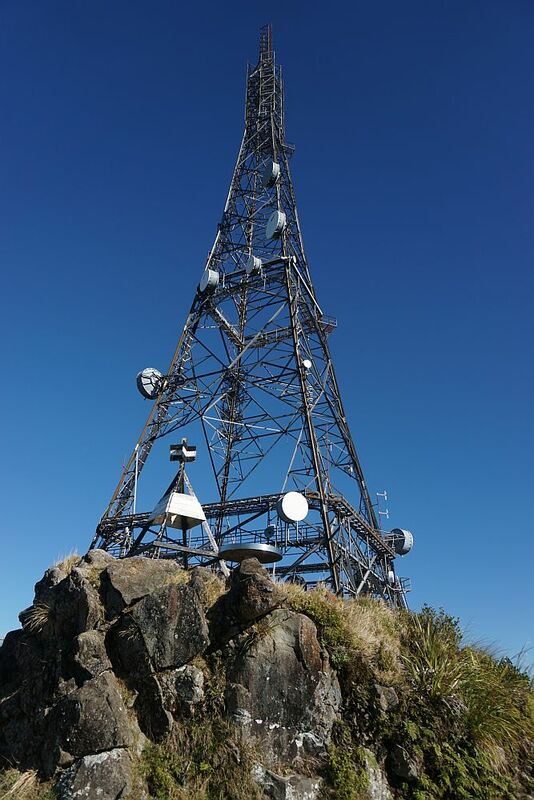 The tower, trig station, and lookout at the summit. Names and pointers to all the landmarks visible from the summit are engraved in this compass rose. Here looking eastwards to the Pacific Ocean. 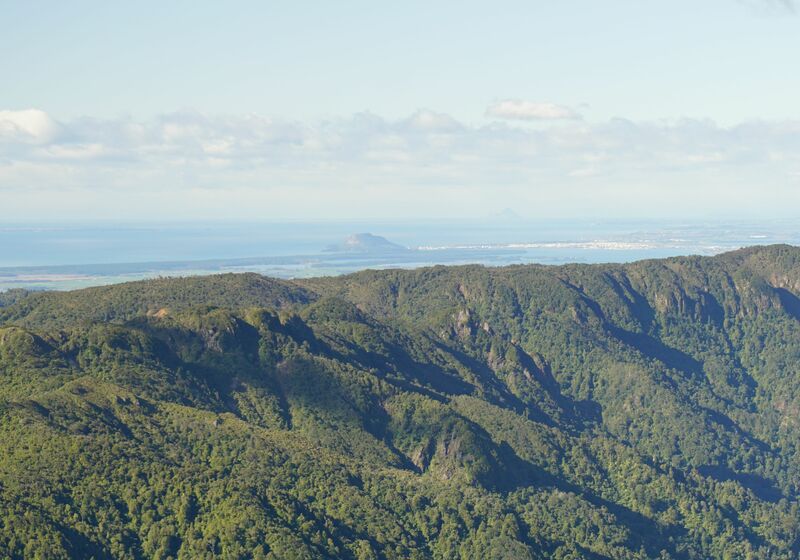 Mt Maunganui was clearly visible despite the haze. On a clear day Mt Ruapehu is visible in the distance. 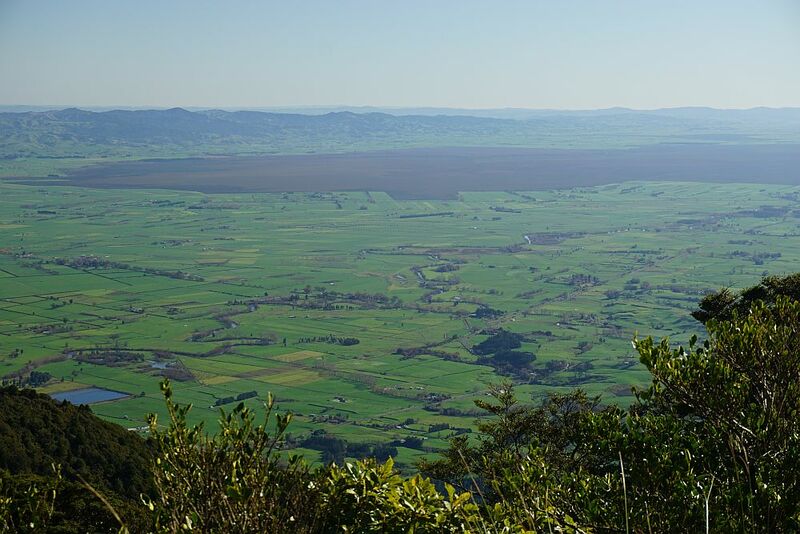 The large wetlands in the Hauraki Plains are clearly seen across the whole photo in the middle distance. A suitable sheltered spot for soaking up some sunshine and enjoying a lunch break. There was still frost on the ground at the summit after midday. The invisible track to the left leads to Dog Kennel Flat. The end of the road to the summit. The track leading directly back to the Domain. 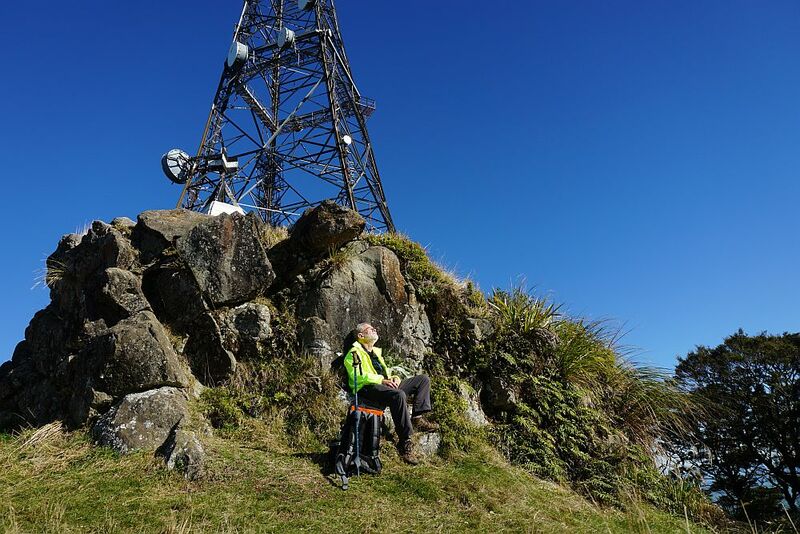 Domain to Whakapipi lookout: 1.5 km, 35 minutes. 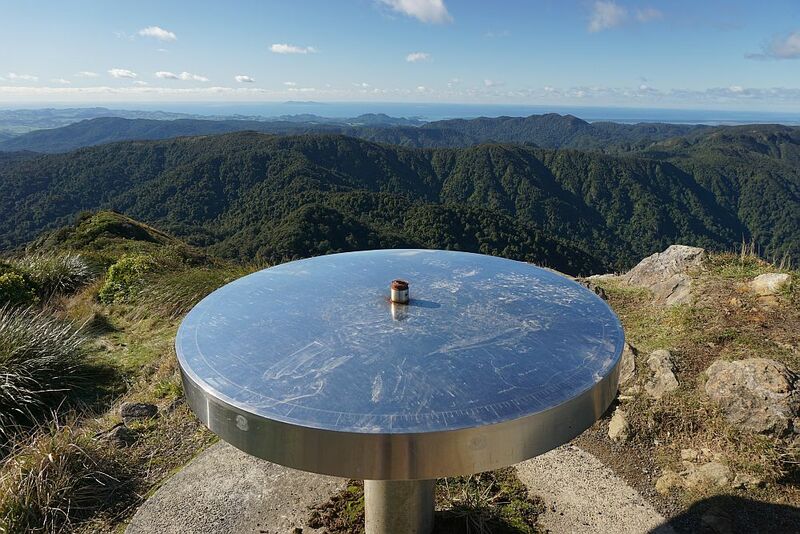 Lookout to summit: 3.1 km, 1 hour 35 minutes. Summit down to lookout: 1 hour 10 minutes. Lookout to Domain: 30 minutes. 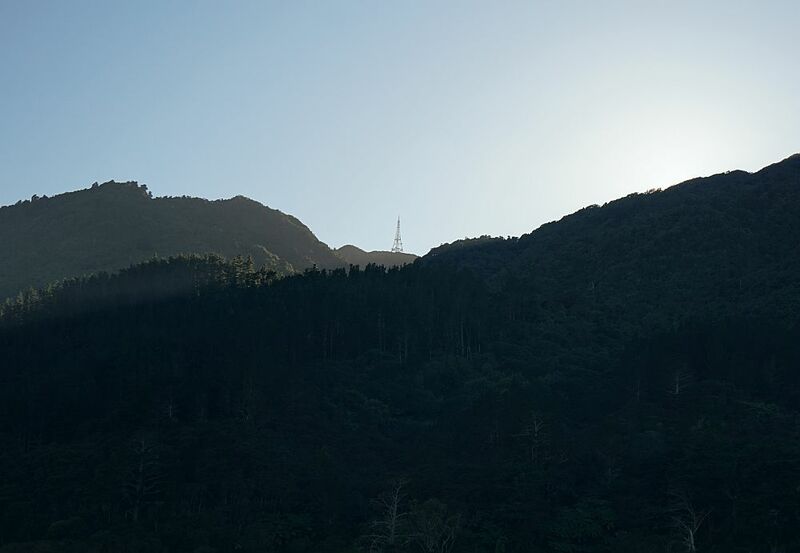 The official height of Mt Te Aroha is 953 metres. 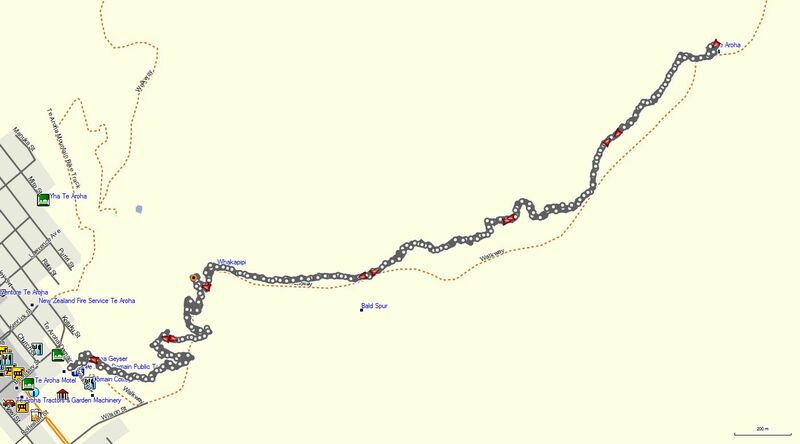 The track was walked on June 23, 2015, as well as on 2 previous occasions.